I have found myself again arrested in the progress of writing for this blog. 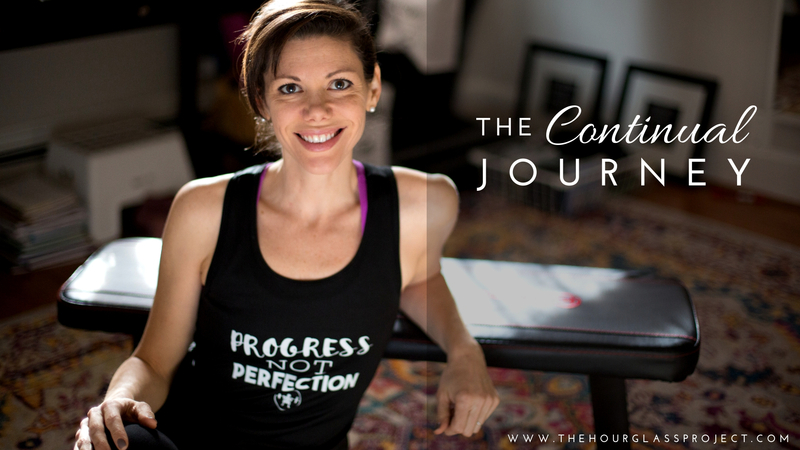 It is not for lack of content, but rather the content does not feel aligned with where I am in the present moment. I have taken the last two weeks off, partly due to travel and partly due to the feeling of misalignment. The article I had planned to post was on a workout program I completed. I had taken pictures and everything, but just did not feel called to post about it. This is likely a result of my struggle to re-immerse myself back into the program after having completed the 12 weeks. I have had many false starts which leaves me feeling a little disingenuous to post about the program when I know I am struggling to get back into the grind. But the other reason is because on my continual journey to self awareness and improvement I realized again that the voice of this blog is becoming something other than me. This idea of writing “articles” vs “blog posts”, worrying about having something worthwhile to say, fretting about the perfect pictures to compliment the writing, the desire to give meaningful gifts of wisdom to people who take the time to read the blog, and the pull to be an expert doling out advice all create undue stress. These pressures seem incongruent with the person I am working to be. If I’m being honest with myself, I do not feel the call to be a professional blogger – making it my full time job to write valuable content for viewers and manage endorsements or sponsorships. At times this is a struggle because my sister – who IS a professional blogger – and mighty good at what she does (check out her blog HERE) makes a good income with her profession and it has taken her on many really exciting journeys around the world. I see her success and am inspired to follow. I have to remember that this is in fact her full time job – it is not a hobby that brings in money – it is something that she has built over the last decade and has dedicated most days of her life to. And she loves it – or at least, she seems to. This appears to be her calling. She is thriving and that is tremendous, but trying to walk her path results in me stepping off course of my own. I also do not feel called to be the expert. I am a lost soul – it is who I am today. Why do I feel like I have to have the answers? Why do I feel like I have to have it all figured out before I write? I don’t have it all figured out! Every day is a new challenge with new obstacles, and what I find “works” for one season may be totally disastrous for another season of my life. And so rather than trying to obtain this elusive balance, I am learning that it is all about embracing flexibility and learning to sway with the wind. Through my spiritual journey and my yoga practice, I am focusing on creating balance through surrender. My daily practice allows me to build strength, allowing for a firm foundation while also teaching me flexibility. Like the roots of a tree, my foundation is firm allowing me to sway in the wind and bend to every new obstacle that comes my way without breaking. Giving people the impression that I have anything figured out, is not the authentic me. I have been spending a lot of time reflecting on my values, goals and praying for guidance on how to continue on my journey and I feel like I am finally tuning into the answers. I have started to say no to requests for my time and to cut out obligations that no longer make sense for me at this time – which has not been easy, as I do not like to let people down. I have found a local church that speaks to my heart and makes me feel inspired to live my best life. I have re-engaged in the spiritual tool: A Course in Miracles, which I started 3 years ago and then let sit untouched for years despite my yearning to complete it. I have started at the beginning yet again and I am carving out time daily to engage in the learning process. I am writing regularly in a journal. Focusing on gratitude, goals, obstacles, and reflections. I have enrolled into courses in the Adobe Suite and Graphic Design in order to work towards new skills that align with my current passions. And I am surrendering. Taking things one day at a time trying to figure out what I can do now to be present, come from a place of love (for both myself and others), and having faith that with each day I get closer to the next unfolding opportunity for my life. As I create more breathing room in my life I have noticed areas of overlap. So, instead of writing in a separate journal I am going to try out doing my journaling here. Perhaps only once per week, with the rest being in my hardbound notebook, but I am going to test out treating this blog as my open and active life journal. It may not be everyone’s desire to read what I am going through and it won’t necessarily come with beautiful pictures, but I believe we are all connected and more similar than we realize and if sharing my authentic story can help even one person live more authentically or more from a place of love, well then it was worth writing.